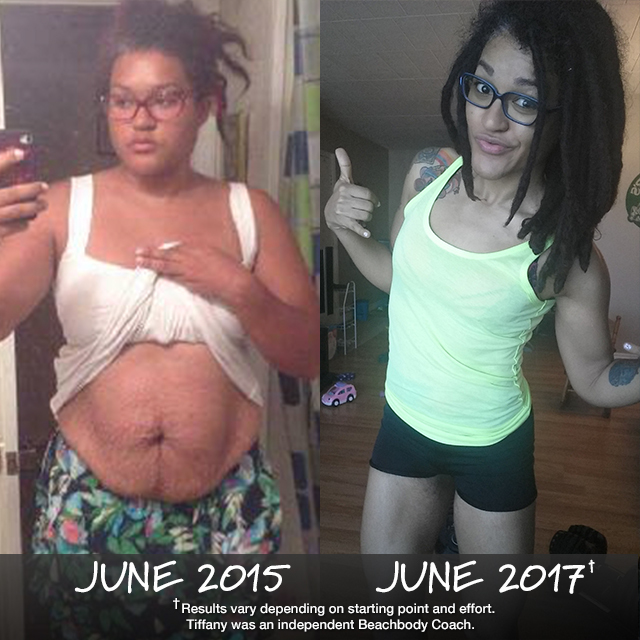 These Female Fitness Transformations Will Blow Your Mind! Tiffany unleashed her inner badass and loves what she sees in the mirror after shedding 74 pounds! 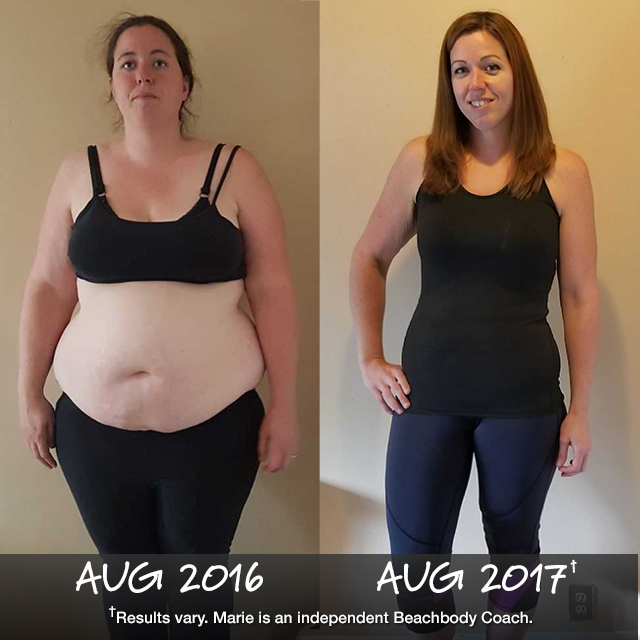 What started with an invitation from her Coach to try “just 21 days” of the 21 Day Fix ultimately blossomed into a full-blown, year-long, healthy lifestyle change for Marie. In the last year, doing her workouts on Beachbody On Demand, she has lost a life-changing 105 pounds! For years, Antoinette searched for a magic pill to improve the quality of her life, but she soon realized — there is no magic pill. 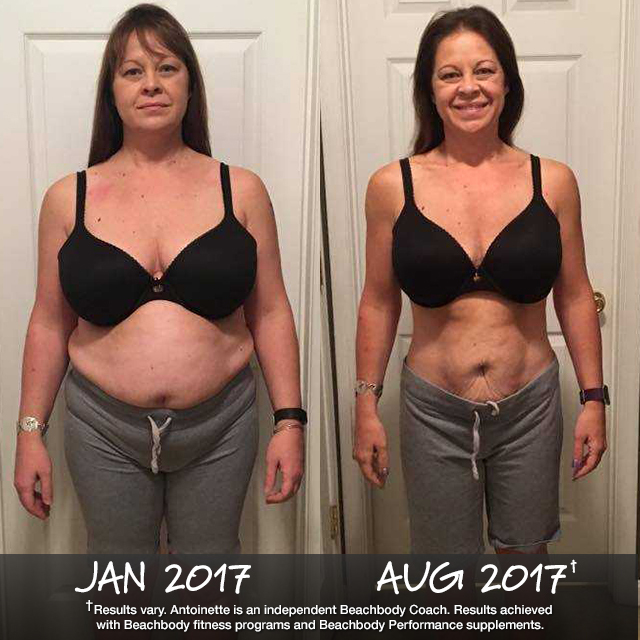 She made her own magic by making time for 30-minute workouts each morning and supplementing her nutrition with Shakeology. In 7 months, she lost 45 lbs! 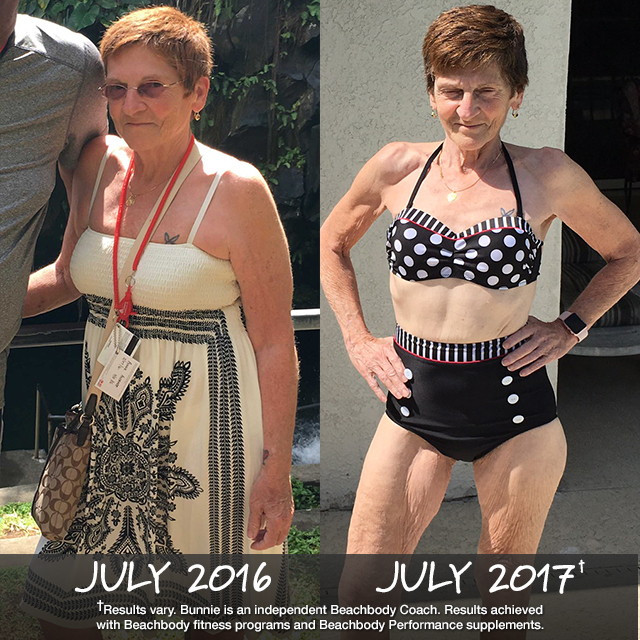 At age 64, Bunnie lost 30 lbs. while working out alongside her husband with various programs on Beachbody On Demand. As a reward for their hard work, she won $1,000 in the Beachbody Challenge, and her husband did too!